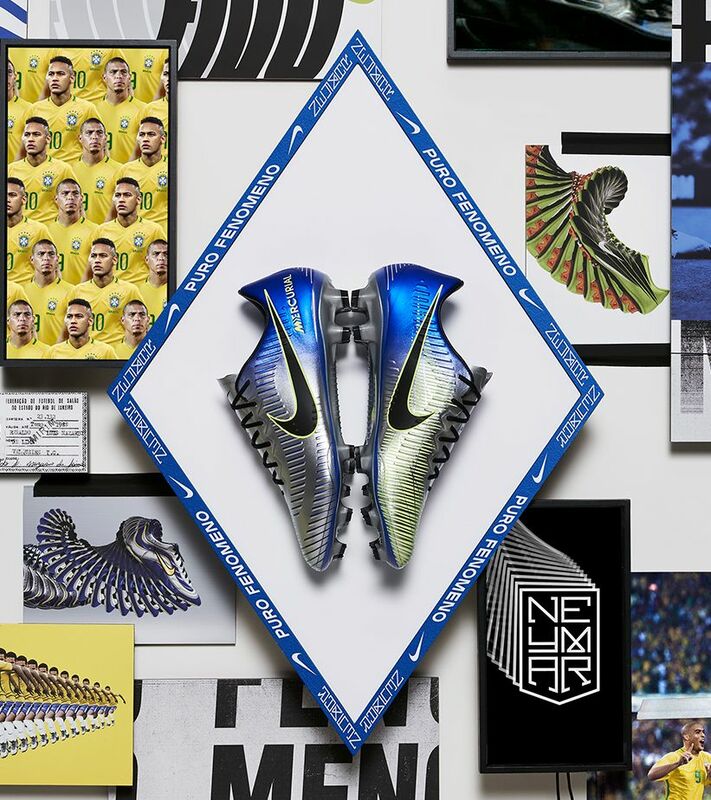 Neymar Jr.'s Mercurial Vapor XI Puro Fenomeno celebrates and reimagines two iconic Mercurial boots that inspired him to take on the world: the first ever Mercurial model in 1998 (crafted specifically for R9 in Brazil's colours) and the Mercurial Vapor Superfly II (worn by Neymar for his Brazil debut in 2010). 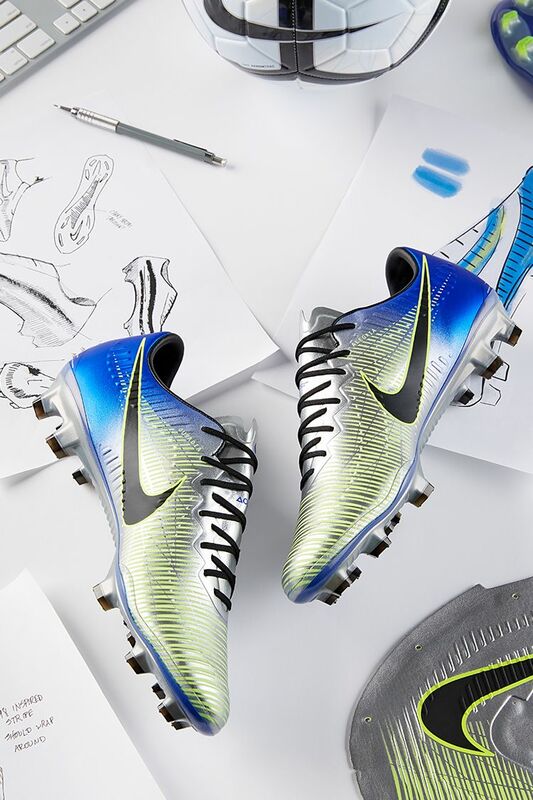 As a hybrid between Brazilian heritage and Neymar Jr.'s beginnings, Puro Fenomeno integrates the wave pattern designed for R9 and the Mercurial Vapor Superfly II Cactus Green colourway that helped an 18-year-old Neymar Jr. score for Brazil after just 28 minutes in his first match. The Puro Fenomeno's respective blue wave and shard graphics highlight two decades of design. 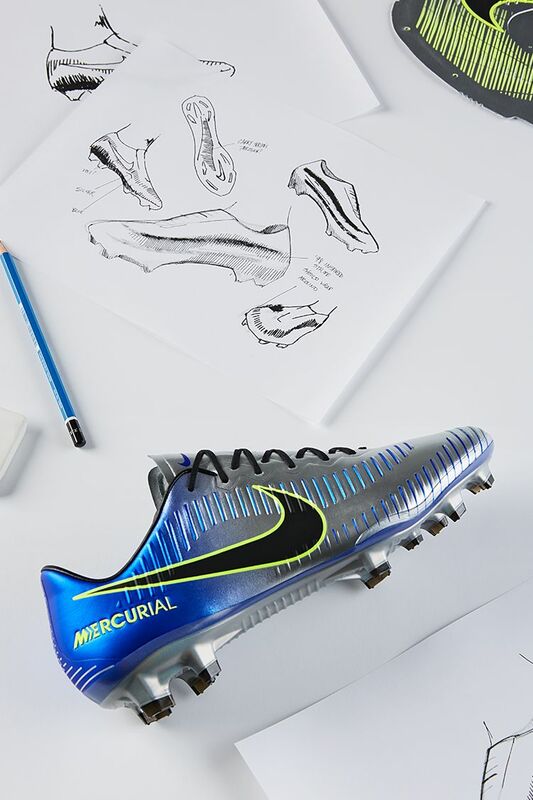 The iconic wave pattern of R9's Mercurial comes to life in Puro Fenomeno through the Vapor XI's speed rib technology. 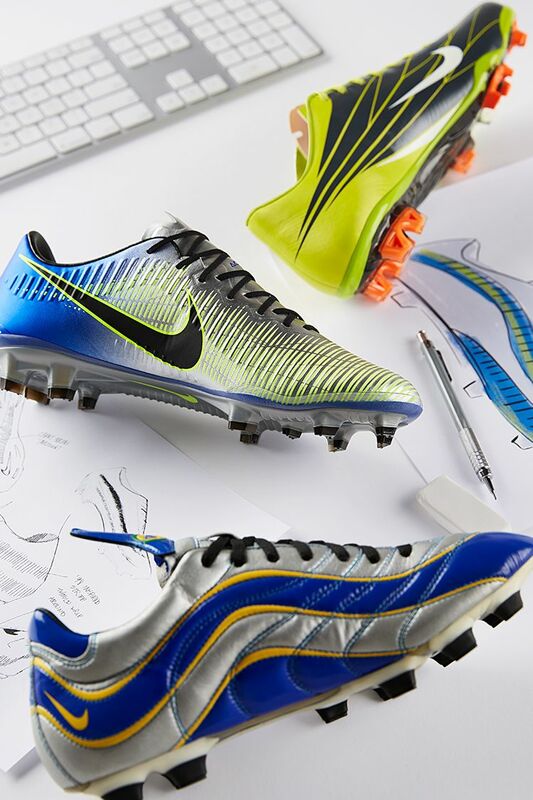 Moulded to match the 1998 boot's graphic, the ribs are crafted for superior touch and ball control. 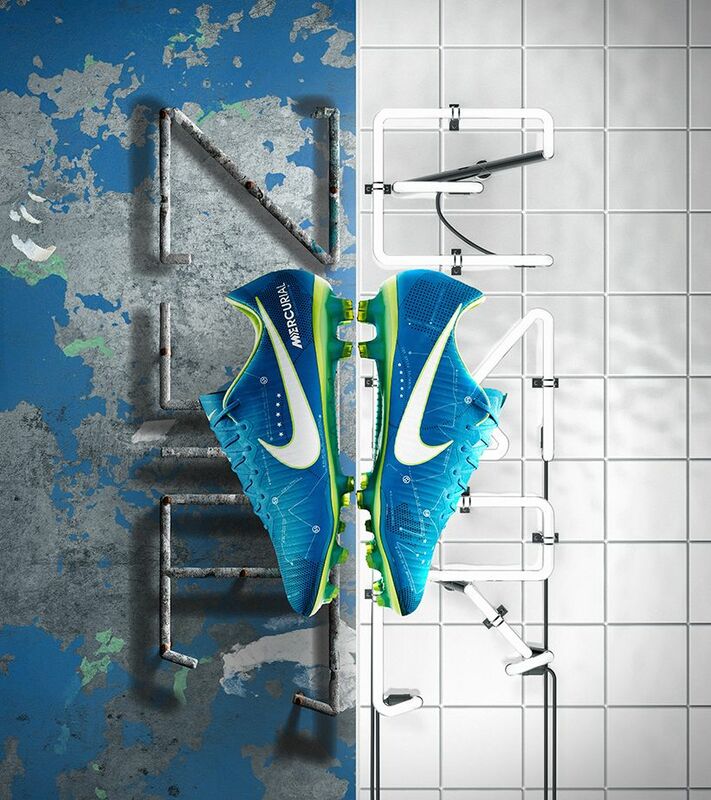 The 2010 shard graphic fades in atop the wave, blending two iconic boots together as one, ready to take on the world. Where others feel the pressure, Brazilians dare to find joy. Even before Neymar had bespoke boots, he always lived by two words: Alegria ("Joy") and Ousadia ("Daring"). He used to add them onto his boots with NIKEiD, and even has the words tattooed on his legs. 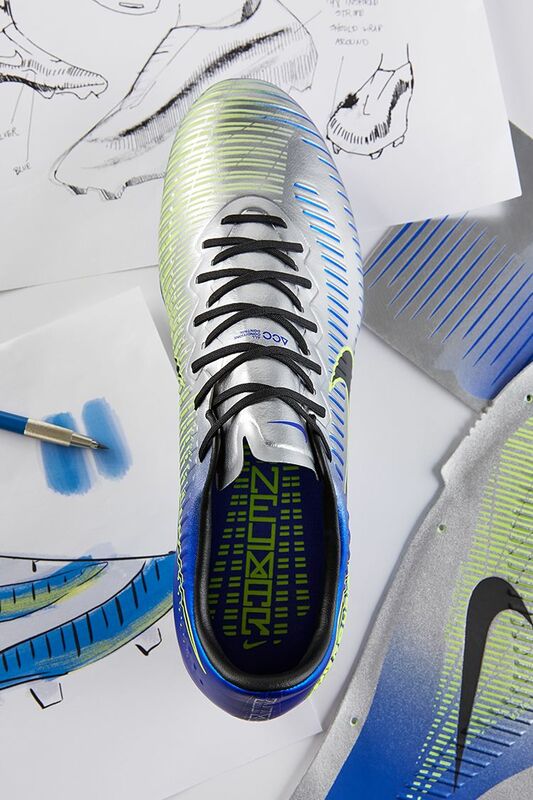 Now printed on his Puro Fenomeno boot, that tradition and the "joga bonito" mentality of playing beautifully live on. 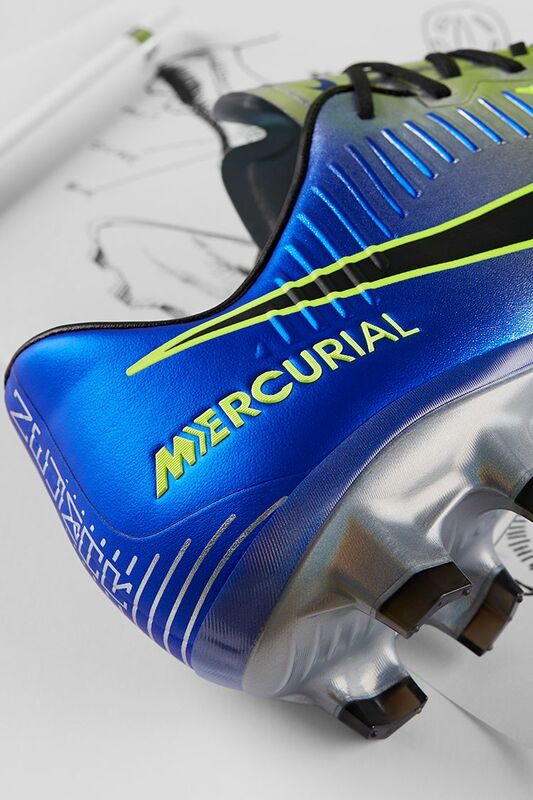 Inspired by Brazil's traditional yellow and blue, the Puro Fenomeno features a Racer Blue with translucent ink and a bright yellow Volt of energy. 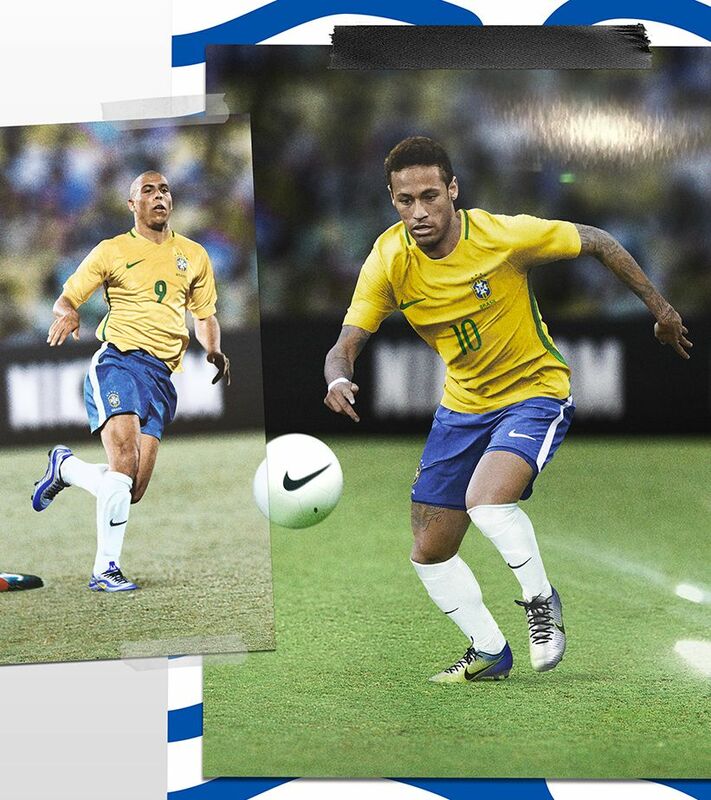 Because whether it's in Paris or São Paulo, Neymar Jr. is always representing Brazil with his own style. Neymar Jr. is a true phenomenon. 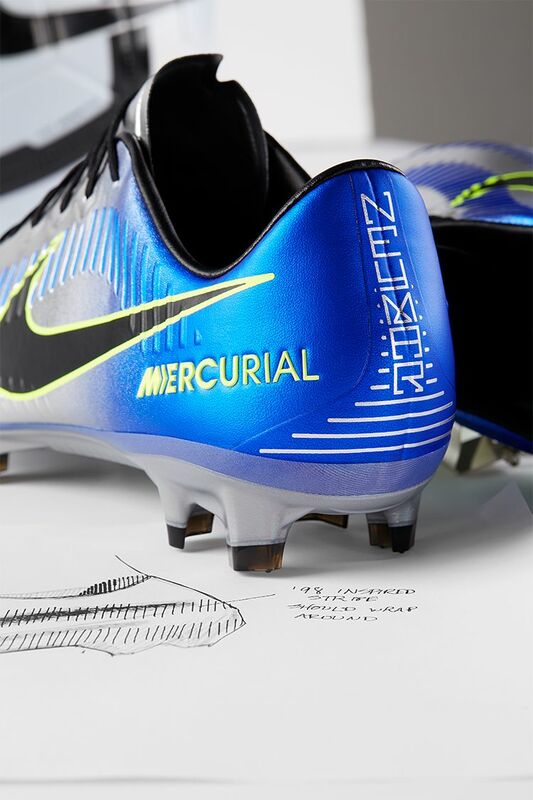 With every step-over and stunning strike he continues his Mercurial legacy. Next summer, the hunt for Brazil's sixth star sits on his shoulders, with a legacy behind him as he steps forwards. 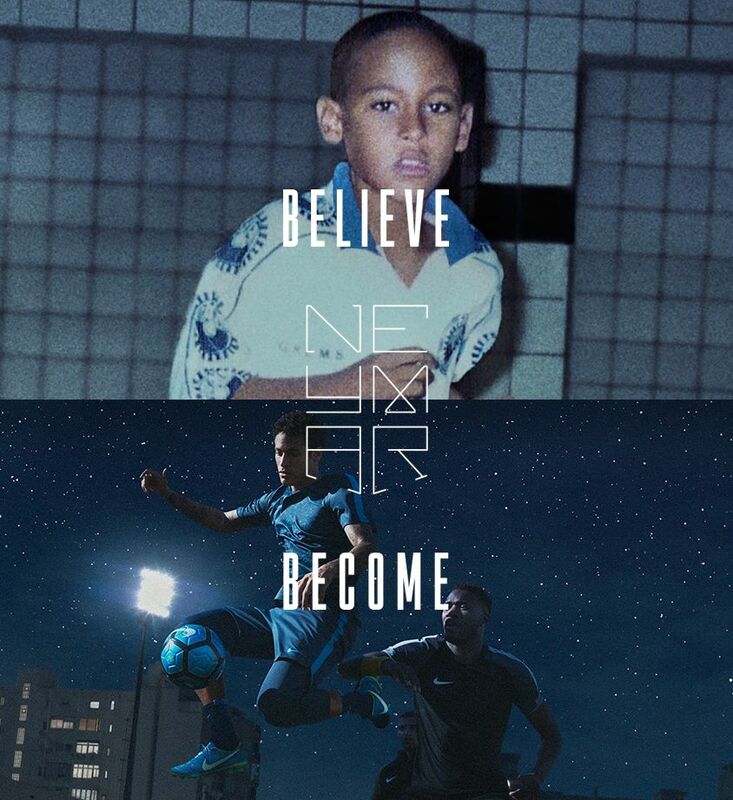 The past inspired the present, and the next generation will be following in Neymar's footsteps.